'70 and Sababa! 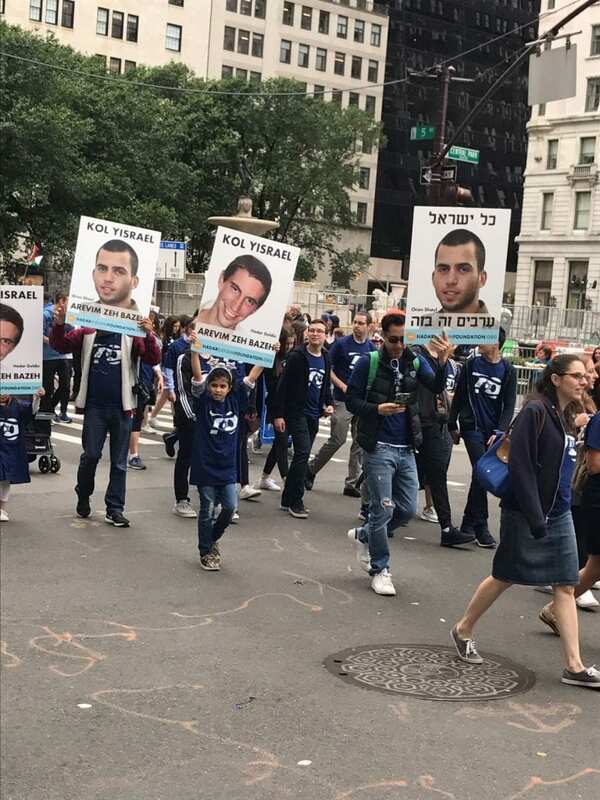 ': Tens of Thousands in New York Celebrate Israel’s 70th Anniversary - Breaking Israel News | Latest News. Biblical Perspective. New York Govenor Andrew Cuomo, who is running for reelection, served as the parade’s honorary grand marshal. “Too often today diversity is seen as a weakness, but we know it’s our strength. 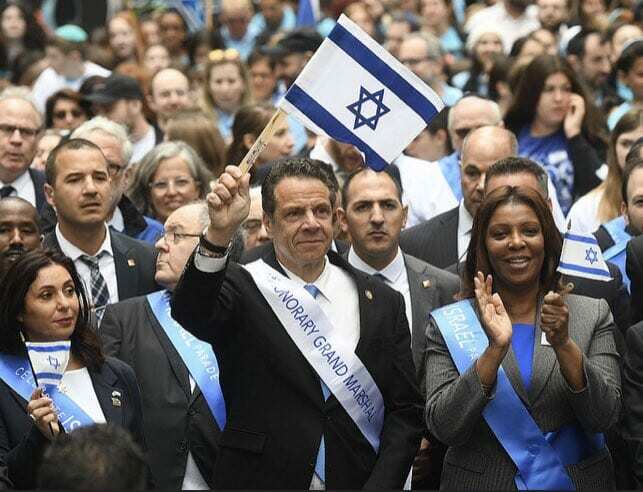 NY wouldn’t be NY without the Jewish community,” Cuomo said in tweet. Jewish rapper Kosher Dillz and singer Lipa Schmeltzer were among the event’s performers. Many of the groups that marched in the parade played popular Israeli songs, including the now ever-present “Toy,” the song performed by Israeli Netta Barzilai that won this year’s Eurovision. Security was tightened at this year’s event, with double metal barricades placed on each block down the path of the parade—something not done in previous years. The New York City Police Department said that more than 1,000 officers, bomb-sniffing dogs, sharpshooters on rooftops and radiation-detection devices were used to secure the area surrounding the event, according to the Associated Press. Sanitation trucks filled with sand-blocked streets were stationed to prevent vehicle attacks. NYPD Chief of Patrol Rodney Harrison noted that precautions were taken in response to threats of terrorism in Israel, the Middle East, Europe and around the world. Anti-Israel protesters at the parade were confined to a small area on Fifth Avenue, south of Central Park. At the end of the parade, they were escorted by police officers to a nearby parking garage, where many of them had left their vehicles, to avoid any violence that may have ensued with Israel supporters. No incidents were reported. 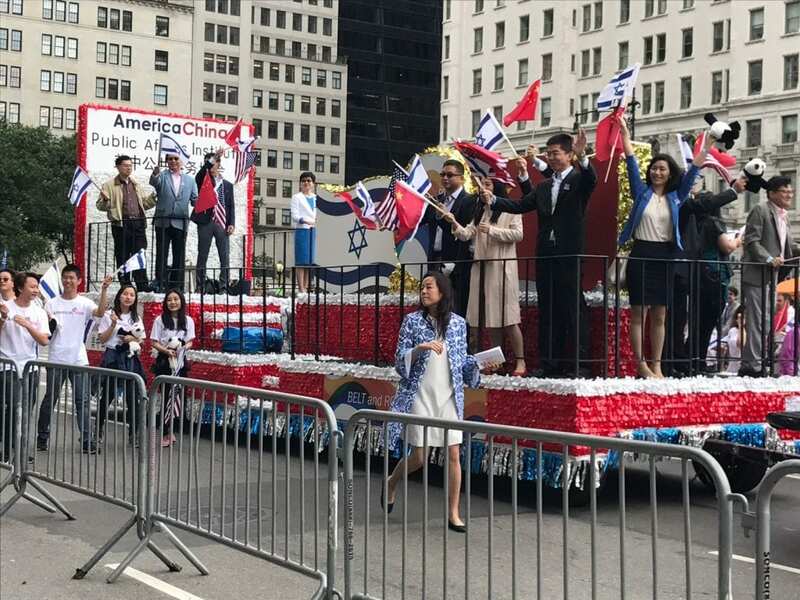 Although the parade ended at 4 p.m., additional celebrations were held in Central Park, with festivities continuing in the evening in Times Square with music by Israeli singer Shiri Maimon and DJ Omri Anghel. There was also a display of Israeli innovation and a recap of the country’s first 70 years across the screens of Times Square. 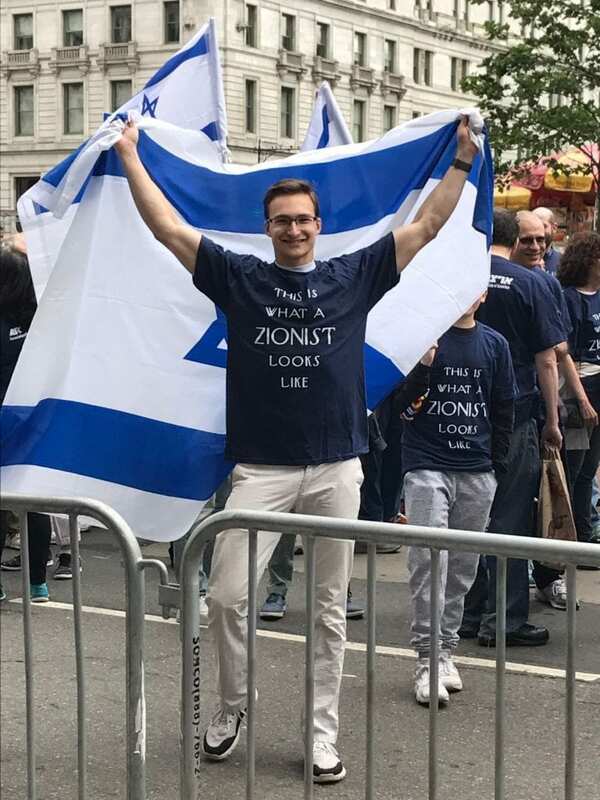 Dayan addressed the hundreds of people who gathered there, talking about the significance of taking over the Manhattan hotspot and covering it “in blue and white” to celebrate Israel’s 70 years of independence. 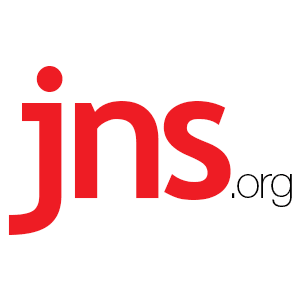 Shiryn Solny is a writer for JNS.org, an independent, non-profit, business resource and wire service covering Jewish news and Israel news for Jewish media throughout the English-speaking world.